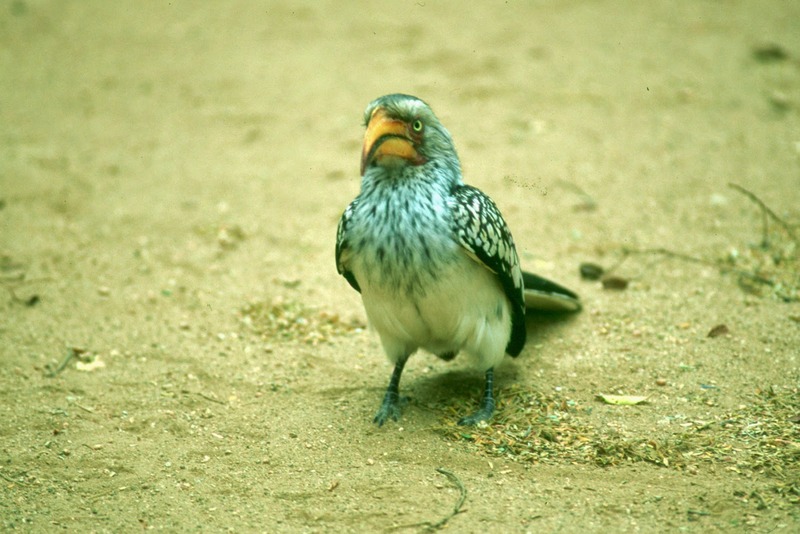 Welcome to the official blog of TravelComments.com - travelling Southern Africa! visit our webcam page for live footage from Kruger National Park! South Africa: Table Mountain National Park named most-visited protected area in Africa! According to a recent study into the global scale of nature-based tourism in protected areas, the world's national parks and nature reserves receive around eight billion visits every year. The authors of Walk on the Wild Side: Estimating the Global Magnitude of Visits to Protected Areas analyzed data from 556 parks worldwide to estimate the economic value of visits to the world's most popular protected areas. The study named two protected areas in South Africa as the most-visited in Africa - Table Mountain National Park with 1.4 million visits per year and Kruger National Park with 1 million visits per year! Kimberley: Dates announced for the Skateboarding World Championships 2015! World Skateboarding Grand Prix (WSGP), one of the world's leading skateboarding event management companies, has announced that Kimberley in South Africa will once again host the Skateboarding World Championships in 2015. The event will be held at the Kimberley Diamond Cup, which runs from 07 - 10 October 2015 at Kimberley's permanent, state-of-the-art Kumba Skate Plaza. Skaters from at least 50 countries expected to compete in five world championship events, including the Women's Street Championships, Vert Championships, Big Air Championships, Rider Cup Team Championships and Men's Street Championships. This year for the first time, the Skateboarding World Championships will extend invitations to the top finishers of notable international contests like the Mystic Cup, Copenhagen Pro, the Turkish Skateboarding Championships, Bryggeriet Malmo and others around the world. Top finishers from U.S. contests, including X Games, Dew Tour, U.S. Skateboarding Championships and Street League, will also earn spots in the Skateboarding World Championships. Angola's Minister of Interior, Angelo Veiga Tavares, has announced that the country will introduce tourist and ordinary visas with multiple entries in March 2015. The modernisation process taking place in the Angola's Migration and Foreigners Services (SME) has made it possible to overcome the hindrances regarding the introduction of multiple entry visas. The Minister also confirmed that Luanda's 4 de Fevereiro International Airport will set up the RAPID system, which will enable Angolan and foreign travellers to pass through the immigration control system in less than fifteen seconds. Uganda: Gorilla permit promotion in April, May & November 2015! The Uganda Wildlife Authority (UWA) has launched a gorilla tracking promotion valid during the months of April and May 2015 (01 April - 31 May 2015) as well as during November 2015 (01 - 30 November 2015). According to UWA management, during the promotion foreign non residents will pay US$350 instead of US$600 for a gorilla permit, foreign residents US$300 (US$500) and East Africans will part with Ush150,000 (Ush 250,000) a permit. For more information please contact the Uganda Wildlife Authority. Post by Uganda Wildlife Authority. Murchison Falls National Park (Uganda): Paraa ferry temporarily closed for maintenance! In case you are planning to use the Masindi-Paraa-Pakwach road (north <> south) through the Murchison Falls National Park in Uganda in the next couple of days, you should be aware that the Paraa ferry will be will be grounded from today (23 February 2015) until 25 February 2015 for routine checks and maintenance. The Paraa vehicle ferry usually crosses the River Nile south-north and north-south at the following times: 7:00am, 9:00am, 11:00am, 12:00pm, 2:00pm, 4:00pm, 6:00pm, 7:00pm. Special crossings are offered at an additional fee in between these crossing times. Murchison Falls National Park is located in north western Uganda at the northern end of the Albertine Rift Valley about 300km by road northwest of the country's capital Kampala. The National Park spreads inland from the shore of Lake Albert around the Victoria Nile and covers 3,480km². Murchison Falls National Park is the largest and oldest conservation area in Uganda, hosting 76 species of mammals and 451 birds. King Shaka International Airport in Durban named second Best Airport in Africa! Airports Council International (ACI), the trade association of the world’s airports, has announced the recipients of the prestigious 2014 Airport Service Quality (ASQ) Awards. Sir Seewoosagur Ramgoolam International Airport (MRU) on Mauritius was named Best Airport in Africa 2014, follwed by King Shaka International Airport (DUR) in Durban, Cape Town International Airport (CPT) in Cape Town, OR Tambo International Airport (JNB) in Johannesburg and Jomo Kenyatta International Airport (NBO) in Nairobi (Kenya). Upington International Airport in Upington has been awarded Best Regional Airport in Africa (fewer than 2 million passengers per year), while Sir Seewoosagur Ramgoolam International Airport (MRU) also scooped the award for Best Improvement. The ASQ Survey covers 34 key service areas and includes 8 major categories such as access, check-in, security, airport facilities, food and beverage, retail and more. All participating airports use the same survey questions, creating an industry standard set of responses that allows participants to track and analyze their performance, as well as benchmark results against airports across the globe. All participating airports can view the ASQ survey results of all other participating airports on a confidential basis. Qatar Airways: Major expansion in South Africa! The flag carrier of Qatar, Qatar Airways, has announced a major expansion in South Africa. The airline will introduce flights to Durban and will increase its weekly frequencies to Johannesburg and Cape Town. Effective from 17 December 2015, the airline will launch four new weekly flights to Durban via Johannesburg bringing the total frequency to Johannesburg up from 10 weekly flights to a double-daily service. From 01 October 2015, Qatar Airways will be operating daily flights to Cape Town ahead of the busy 2015/16 winter travel season, an increase from five weekly flights this winter. Tanzania-based low cost-airline Fastjet is set to introduce its fourth domestic route. From 30 March 2015 the airline will operate four flights a week between Mwanza Airport (MWZ) in Mwanza and Kilimanjaro International Airport (JRO), which serves the cities of Arusha and Moshi. Flights between the two destinations are open for booking (flight dates: 30March – 31 May 2015). 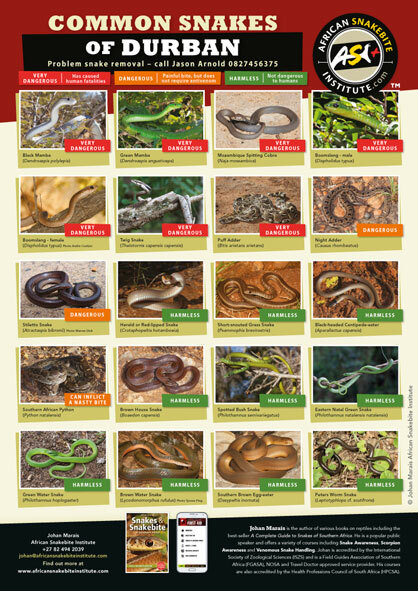 Free poster download: "The Common Snakes of Durban"! Herpetologist Johan Marais, author of "A Complete Guide to Snakes of Southern Africa", has published a new poster about the common snakes of Durban. The poster is available as a free download in high resolution and is designed to be printed in A3 (or A4). Kudos & many thanks, Johan! To download the poster click here (pdf, 9mb) or here (jpg, 101kb)! #Chappies must be fully assessed for safety before the drive can re-open to motorists, cyclists and pedestrians. We remain CLOSED to all. Due to alien vegetation clearing, Cape Town's famous Chapman's Peak Drive, one of the most spectacular marine drives in the world, will be closed every Wednesday for four weeks between 09:00 – 16:00 starting 25 Feb 2015. Chapman's Peak Drive is a scenic 9km route between Noordhoek and Hout Bay along the western flank of the Chapman's Peak, a mountain on the western side of the Cape Peninsula, located about 15 kilometres south of Cape Town. Free ebook: "Ten things you can do right now to improve your wildlife photography" by Will Burrard-Lucas! Professional wildlife photographer Will Burrard-Lucas, best known for the Beetlecam and his stunning footage of the Luangwa Valley in Zambia, has released a new ebook. "Ten things you can do right now to improve your wildlife photography" is available for FREE. Thx & kudos Will! Namibia: New partnership between Condor and Air Namibia! German airline Condor (Condor Flugdienst) has teamed up with Namibia's flag carrier, Air Namibia. The new partnership offers Condor's customers expanded access across Southern Africa to various destinations such as Lüderitz, Oranjemund, Walvis Bay (Namibia), Cape Town, Johannesburg (South Africa), Victoria Falls and Harare (Zimbabwe), Lusaka (Zambia) and Luanda (Angola). Condor currently operates two weekly fligths between Fankfurt (FRA) and Windhoek (WDH) on Mondays and Thursdays. Airports Company South Africa (ACSA) has published the on-time performance results of domestic airlines’ flying out of OR Tambo in Johannesburg, Cape Town International Airport, and Durban's King Shaka International Airport in January 2015. On-Time Performance is measured by comparing the actual off-block time (when aircraft pushes back) against the airline schedule time for a departing flight. The measurement is done in accordance with the IATA (International Airlines Transport Association) universal standard benchmark with considers a 15 minute deviation from the scheduled time as an on-time departure. Air Namibia to increase flights between Windhoek <> Johannesburg! Namibia's flag carrier, Air Namibia, will increase its flights between Hosea Kutako International Airport (WDH) in Windhoek and OR Tambo International Airport (JNB) in Johannesburg on 29 March 2015. The airline will introduce a third flight a day between the two destinations on Tuesdays, Thursdays, Saturdays and Sundays. This will bring the total number of flights to 21 a week. Air Namibia currently operates two flights a day on Tuesdays, Thursdays, Saturdays and Sundays and a third service Mondays, Wednesdays and Fridays between Windhoek and Johannesburg. South African Airways resumes daily nonstop flights between Johannesburg & New York! South Africa's flag carrier, South African Airways (SAA), is set to resume its daily nonstop flights between OR Tambo International Airport (JNB) in Johannesburg and John F. Kennedy International Airport (JFK) in New York on 07 March 2015. The resumption of the nonstop service on the northbound flight between the two destinations will reduce the overall travel time on the route by nearly 90 minutes. While SAA's flight from New York to Johannesburg is operating daily on a nonstop year-round basis, the northbound flight has been temporarily making a one-hour refuelling stop in Dakar (Senegal) due in part to lower travel demand during the winter months. South African Airways' flights between New York and Johannesburg are operated on the state-of-the-art wide-body Airbus A340-600 aircraft, featuring 42 full-flat 180-degree beds in Premium Business Class and 275 seats in Economy Class. RwandAir to launch direct flights between Johannesburg <> Lusaka! The flag carrier of Rwanda, Rwandair, will launch three direct flights per week between OR Tambo International Airport in Johannesburg (South Africa) and Kenneth Kaunda International Airport in Lusaka (Zambia) on 28 March 2015. The airline will operate one of its Boeing 737-700 aircrafts on the route. Ethiopian Airlines to launch flights to Gaborone & Cape Town! According to the aviation specialists from airlineroute.net, Ethiopian Airlines is set to expand its service to Southern Africa. The airline will introduce flights to Gaborone in Botswana and Cape Town in South Africa on 30 June 2015. Ethiopian Airlines will operate three weekly flights Addis Ababa - Gaborone - Cape Town - Johannesburg - Addis Ababa on board a Boeing 737-800 aircraft. Through the expanision, the overall service to Johannesburg will increase from currently seven weekly flighs to ten weekly flights. Ethiopian Airlines has no local traffic rights for the Gaborone <> Cape Town and Cape Town <> Johannesburg sectors. FlyAfrica to introduce daily flights between Victoria Falls <> Harare! Low cost carrier FlyAfrica.com has announced that it will introduce daily flights between Victoria Falls International Airport in Victoria Falls, Zimbabwe, and Harare International Airport in Harare on 01 July 2015. The airline currently operates three direct flights per week on Mondays, Wednesdays and Sundays between the two destinations. South Africa's flag carrier, South African Airways (SAA), will from 01 April 2015 redirect its flights to all destinations in India via Abu Dhabi through its new direct service with onward code-share agreement connections with Etihad Airways and Jet Airways into the sub-continent. New destinations in India include Delhi, Hyderabad, Bangalore and Madras/Chennai among others. South African Airways will operate its last direct Johannesburg <> Mumbai service on 28 March 2015. Passengers booked on flights departing after the end date of the direct service will be accommodated on the reconfigured network. "South African Airways have maintained quality levels throughout what has been a difficult year for the airline, delivering world-class Product and Service standard to their customers, making this 4-Star Airline ranking well-deserved. The Skytrax Star Ranking audit examines more than 800 areas of product and service delivery, across both airport operations and the cabin experience, and this demonstrates that South African Airways passengers can look forward to a high quality of product and service. The Skytrax Ranking provides an accurate and independent guide for travellers around the world, and the 4-Star Airline status is a most respected category. South African Airways has been ranked a 4-Star Airline for a number of years, and we are delighted to see them be awarded with this status for 2015." Skytrax is an aviation research organisation specialised in quality audit and research work for commercial airlines and airports throughout the world. The Skytrax Star Ranking audit examines more than 800 areas of product and service delivery, across both airport operations and the cabin experience. South African Airways & Proflight Zambia sign interline agreement! South Africa's flag carrier, South African Airways (SAA), and the operator of the largest fleet of aircraft in Zambia, Proflight Zambia, have signed an interline agreement. Under the agreement, customers will be able to make joint SAA - Proflight Zambia bookings and will be issued with a single combined ticket. Customers will also enjoy a range of added benefits, including special fares on itineraries across the two airlines. The interline agreement will enable seamless connections to and from Proflight Zambia's domestic destinations: Lusaka, Ndola, Livingstone, Mfuwe, Solwezi, Kasama, Lower Zambezi, as well as its two international routes, Lilongwe in Malawi and Lubumbashi in the Democratic Republic of Congo. It will enable Proflight Zambia customers to book flights to 57 destinations within South African Airways' network, and for passengers to travel more easily to provincial destinations throughout Zambia. Zimbabwe: Gonarezhou National Park to reintroduce black rhinos in 2020! Survey: Cape Town International Airport in Cape Town named Best Airport in Africa! Rwandair to temporarily increase flights between Kigali - Harare - Cape Town!